Laid down, 15 January 1940, as SS Sweepstakes, a Maritime Commission type (C2F) hull under Maritime Commission contract (MC hull 25) at Tampa Shipbuilding and Drydock Co. Tampa, FL. 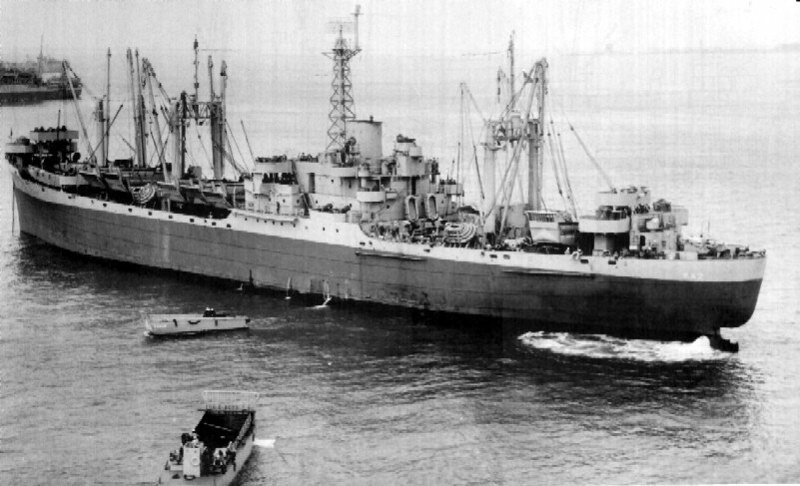 Converted to an Attack Cargo Ship at Norfolk, VA.
Decommissioned, 23 March 1946, at Mare Island Naval Shipyard, Vallejo, CA. Transferred to the Maritime Commission, 30 June 1946, for lay up in the National Defense Reserve Fleet, Suisun Bay, Benecia, CA. three Diesel-drive Ships's Service Generator, 300Kw, 120V/240V D.C.
87k Stern view of USS Procyon (AK-19) off Mare Island Navy Yard, 7 November 1941. 80k Aft starboard quarter view of USS Procyon (AK-19) departing Mare Island, 11 August 1942. 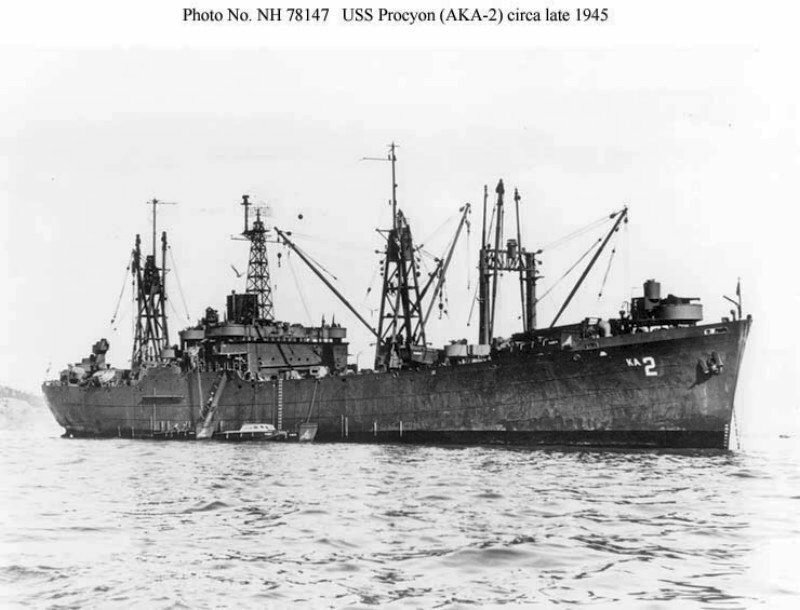 Procyon was under repair at Mare Island from 4 July to 11 August 1942. 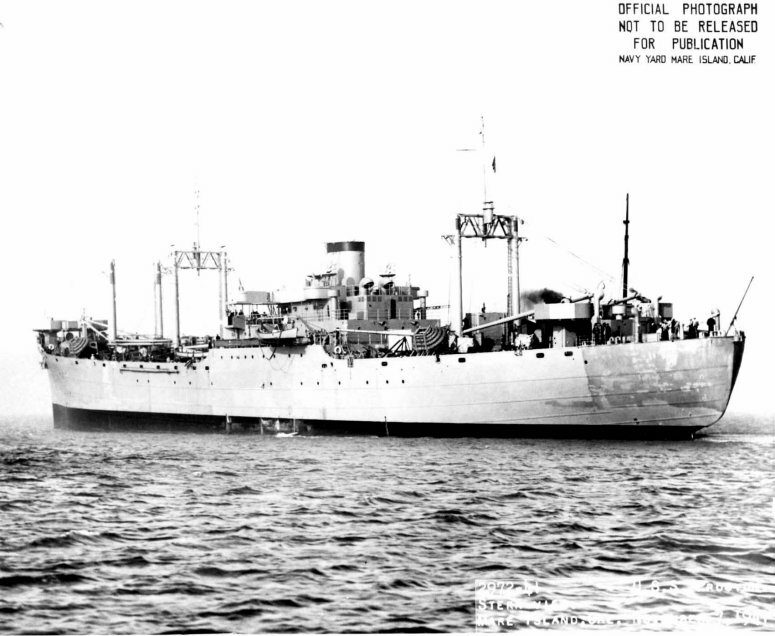 Note, Procyon was built with standard merchant ship kingpost pairs and did not receive the centreline kingposts that were added to her later sisters. 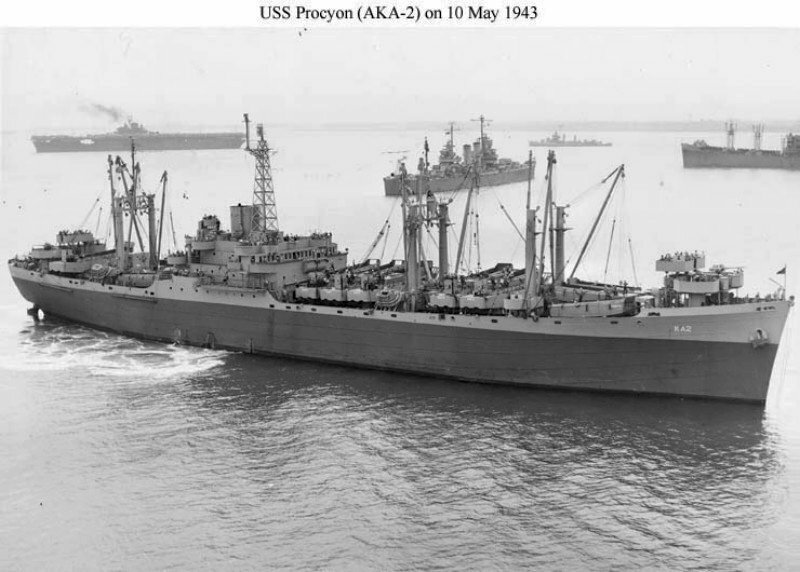 82k USS Procyon (AKA-2) probably in Hampton Roads, 10 May 1943. Note the addition of a large radar mast forward of the stack, as well as elevated 20mm gun platforms near the tubs for her four 3-inch guns at each end. She appears to be carrying most of her boats. Unlike her later sisters, she has no landing craft davits outboard of the bridge. US National Archives RG-19-LCM, photo No. BuAer 66345. 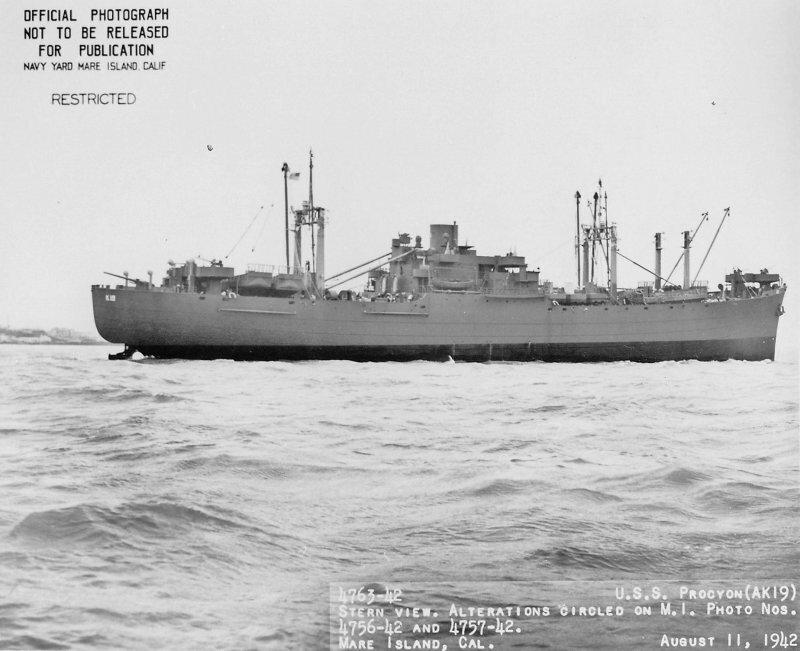 90k USS Procyon (AKA-2), circa 1943, when she was carrying up to seven LCM(3)s stowed athwartship (there was space for another alongside of the boat aft), at least five of them with LCVPs nested inside, plus a pair of LCVPs stowed fore-and-aft between her superstructure and her after kingposts, and davits (for LCVPs) on her deckhouse. All boats were handled by booms, the kingposts having been reinforced to support 30-ton booms to handle LCMs. 30k USS Procyon (AKA-2) at anchor, 10 May 1943, location unknown. 77k USS Procyon (AKA-2) in San Francisco Bay in late 1945 or early 1946. The ship was refitted in circa 1944 with two quadruped masts, and her armament was modified again, the four 3-inch guns being replaced by two 40mm twins and the 20mm guns being redistributed. Procyon was the only ship of the class so configured.